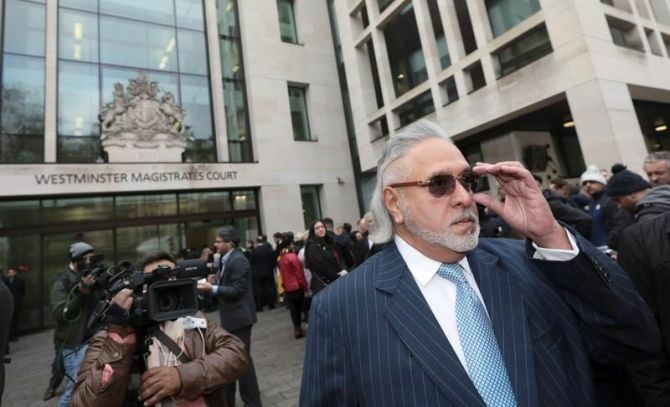 A UK court on Wednesday fixed December 10 as the date to deliver its verdict on whether beleaguered liquor baron Vijay Mallya can be extradited to India to face charges of fraud and money laundering amounting to around Rs 9,000 crore. "There is an awful lot to go over… The most important point is the prima facie case," the judge said, indicating that other issues relating to prison conditions would be secondary. The Crown Prosecution Service (CPS), arguing on behalf of the Indian government, countered this with arguments that Mallya had intended, “from the outset”, never to repay the loans he sought for his struggling airline and misrepresented its profitability. "The government of India case that there was some secret pocket of knowledge about losses within Kingfisher Airlines (KFA) which were not revealed to the banks is utterly unfounded,” said Montgomery. She dismissed the CPS argument that there was “stark disjoint between what Mallya knew and what the banks knew” and also repeatedly accused the Indian authorities of leaving documents “out of the bundle” that prove that “KFA was the victim of the economic climate” and not any deliberate fault. “The video clearly shows the gloom that settles on this building, which is encased in what is effectively a steel oven,” Montgomery said, as part of the defence arguments in favour of a court-led independent inspection of the jail cell to ensure it meets UK's human rights obligations. “It is impossible to be satisfied about humane lighting and ventilation,” she said, adding that it had been clearly tidied up for the purposes of the video as it did not match up with the photographs previously provided by the Indian authorities. It was alleged that the CBI had been “forced to file charges” and once again referred to a newspaper report against CBI chief Rakesh Asthana, which had claimed that he influenced the heads of the state-run banks and threatened them with reprisals if action was not taken against Mallya. “Mr Asthana has been solemnly sitting in court. If this were fake news, it could have been dealt with,” Montgomery said. The day-long hearing, which marks the effective end of the trial until the verdict in December, also heard the closing submissions by the CPS, which focussed on highlighting that the judge should rule in favour of extradition based on the “weight of the evidence”. "The evidence is capable of sustaining an inference of dishonesty,” said CPS barrister Mark Summers, adding that the Government of India has proved that Mallya has a “case to answer” before the Indian courts. Earlier on Wednesday morning, Mallya responded to the swarm of reporters gathered outside the court in his characteristic manner, saying the “courts will decide”. “As far as I am concerned, I have made a comprehensive settlement offer before the Karnataka high court. I hope the honourable judges will consider it favourably; everybody gets paid off and I guess that's the primary objective,” said Mallya, who has been on bail on an extradition warrant since his arrest in April last year and is fighting extradition to India. He sarcastically described the video of Barrack 12 at Mumbai's Arthur Road Jail, which has been prepared for him, as “very impressive”. The CPS, on behalf of the Indian authorities, have sought to establish that he had no intentions to pay back those loans in the event of the airline's collapse.